Joint supplements are some of the most commonly taken complementary and alternative medicines. And by far, the most commonly used of these is the tag-team glucosamine and chondroitin. Despite the huge popularity of these supplements, evidence for their effectiveness remains mixed. Some studies claim significant benefits while others say there are no benefits at all. Then there is the broad selection of studies that say glucosamine and chondroitin are mildly helpful in treating joint inflammation and pain. What are glucosamine and chondroitin? Glucosamine is a structural component of bone, while chondroitin is a structural component of cartilage. Glucosamine is thought to work by depositing itself in the middle of damaged connective tissue. Because it is a component of bone itself, the theory goes, glucosamine will seek out damaged tissues and help to repair them. Inside your joints you’ll find synovial fluid which acts like a lubricant. Synovial fluid also performs the important function of removing wastes from articular cartilage. Articular cartilage is smooth white tissue that covers the ends of bones where they meet to form a joint. Glucosamine is thought to play a role in helping both synovial fluid and articular cartilage to perform effectively. Researchers think glucosamine may also bind to a substance called transglutaminase in the gut. This helps to prevent plant proteins from binding to transglutaminase and producing inflammatory compounds that can lead to osteoarthritis. As far as chondroitin is concerned, it may help to prevent cartilage loss and bone marrow lesions—two major complications that result from osteoarthritis. What about other CAM therapies for osteoarthritis? A recent trial looked at patients suffering from osteoarthritis of the knee and tried to determine CAM use in this cohort. Over 1,110 adults, aged 65 and older, were included in the trial. All had osteoarthritis in at least one knee. The researchers followed the participants for four years, recording conventional and CAM therapy use at regular intervals. The researchers measured whether CAM use had any effect on body mass index, mental and physical well-being and knee osteoarthritis symptoms. They found that almost one-third of patients reported using CAM therapy. Patients who used glucosamine and chondroitin were more likely to try other CAM therapies as well. One in five of those using NSAIDS, were also using glucosamine and chondroitin at the same time. On a side note, the researchers also found that adults 75 or older were less likely to use dietary supplements than those between the ages of 65 and 75. As for joint pain—the more severe a person’s pain, the more likely they were to use CAM therapies. But what everyone wants to know, of course, is what CAM therapies appeared to be the most effective. That honor goes to chiropractic care or massage. 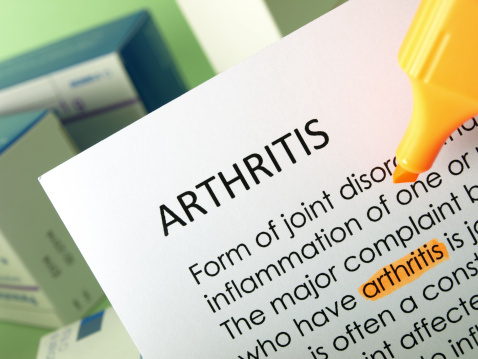 Whichever route you take to treat osteoarthritis—conventional or alternative—talk your decisions over with your doctor or healthcare provider. And don’t forget that CAM therapies may provide an effective means to better manage your symptoms. Yang, S., et al., “Longitudinal Use of Complementary and Alternative Medicine Among Older Adults With Radiographic Knee Osteoarthritis,” Clin Ther. Oct 18, 2013. pii: S0149-2918(13)00973-9. Robb-Nicholson, C., “Ask the doctor. I’m 52 years old. Should I take glucosamine and chondroitin to relieve my osteoarthritis pain and maintain cartilage?” Harv Womens Health Watch. April 2013; 20(8): 2.